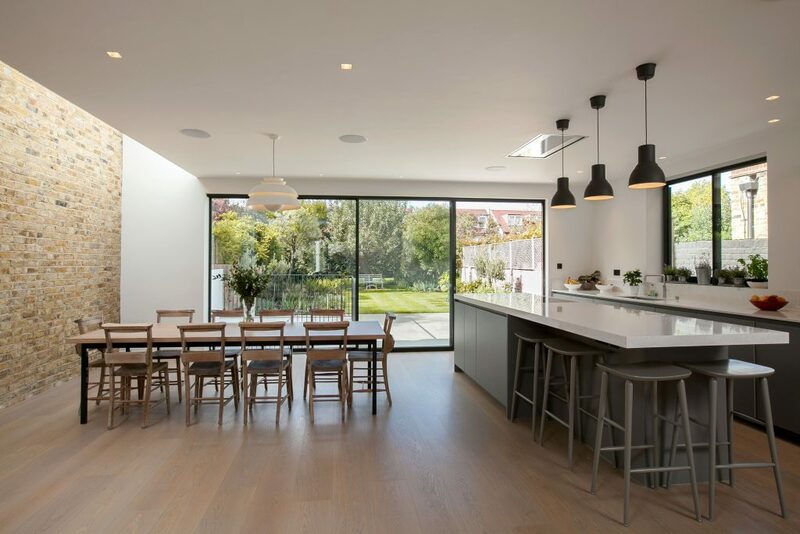 We were appointed by the clients to improve an existing design for a rear extension and large basement which was not sympathetic to the ground floor layout and orientation of this Victorian house. 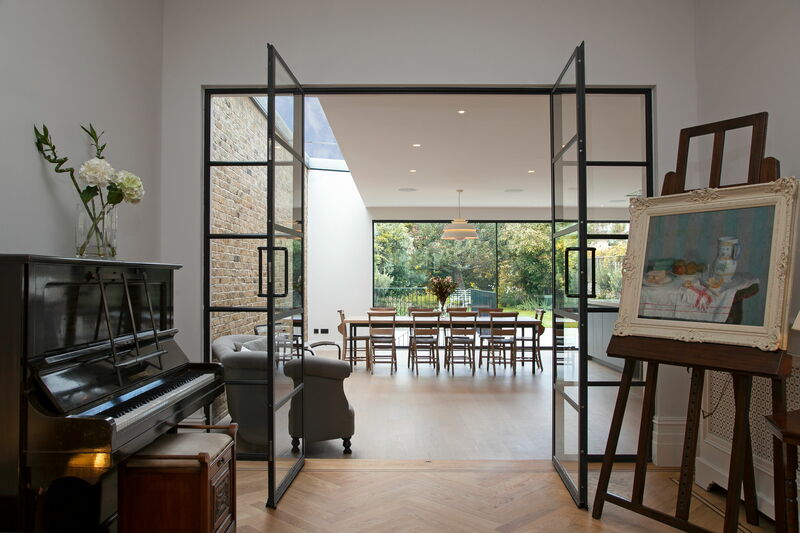 We rationalised the design and were able to introduce a large lightwell to create a basement space flooded with daylight, as well as a natural flow to and from the garden. At ground floor level, the central area of the house has been opened out into the kitchen – diner which has an expansive view of the garden.